The Norwegian Nobel Committee has decided to award the Nobel Peace Prize for 2003 to Shirin Ebadi for her efforts for democracy and human rights. She has focused especially on the struggle for the rights of women and children. As a lawyer, judge, lecturer, writer and activist, she has spoken out clearly and strongly in her country, Iran, and far beyond its borders. She has stood up as a sound professional, a courageous person, and has never heeded the threats to her own safety. Her principal arena is the struggle for basic human rights, and no society deserves to be labelled civilized unless the rights of women and children are respected. In an era of violence, she has consistently supported non-violence. It is fundamental to her view that the supreme political power in a community must be built on democratic elections. She favours enlightenment and dialogue as the best path to changing attitudes and resolving conflict. Ebadi is a conscious Moslem. She sees no conflict between Islam and fundamental human rights. It is important to her that the dialogue between the different cultures and religions of the world should take as its point of departure their shared values. It is a pleasure for the Norwegian Nobel Committee to award the Peace Prize to a woman who is part of the Moslem world, and of whom that world can be proud – along with all who fight for human rights wherever they live. During recent decades, democracy and human rights have advanced in various parts of the world. By its awards of the Nobel Peace Prize, the Norwegian Nobel Committee has attempted to speed up this process. We hope that the people of Iran will feel joyous that for the first time in history one of their citizens has been awarded the Nobel Peace Prize, and we hope the Prize will be an inspiration for all those who struggle for human rights and democracy in her country, in the Moslem world, and in all countries where the fight for human rights needs inspiration and support. 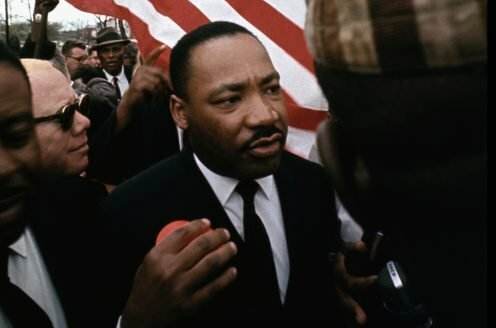 Martin Luther King Jr.’s life and work are a fascinating part of an important stage of 20th-century history. His ideas extend far beyond his own time and the society in which he lived. A new Nobel Prize Lesson is now available and ready to use in the classroom.